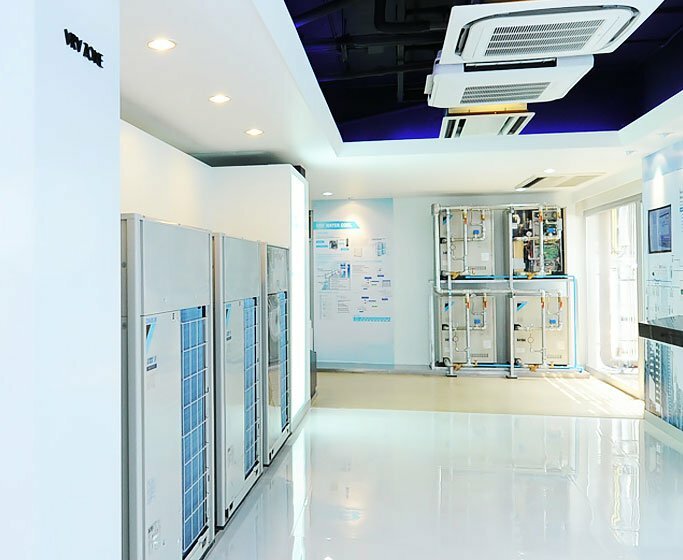 Display Daikin’s history, the way to be an expert in air conditioning. Started with the vision to create quality product for customer by Mr.Akira Yamada, and then Daikin’s development in air conditioning technology all over 90 years. Experience a sense of VRV intelligent system which is solved high ceiling installation problem like in a hotel, office, factory, etc. Respond to various customers’ demands from 6HP to 60HP. 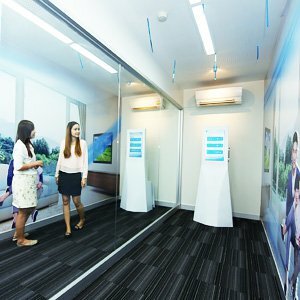 Experience a sense of VRV IV-S system which fits to small and compact units, to achieve convenience and space-saving like in a house, condominium, etc., with more energy saving efficiency. 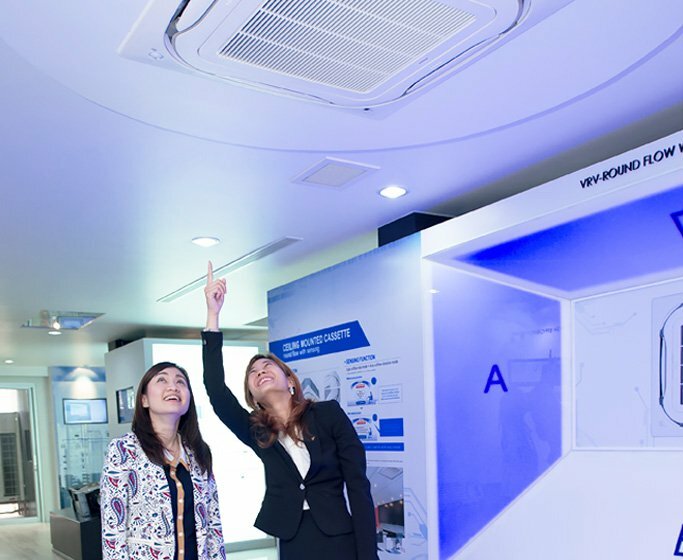 With VRV system, one condenser coil can be connected to more than 20 fan coils or indoor units, so Daikin compiles various fan coils, which support VRV system, for optional applications. VRV IV Experience a sense of VRV intelligent system which is solved high ceiling installation problem like in a hotel, office, factory, etc. Respond to various customers’ demands from 6HP to 60HP. 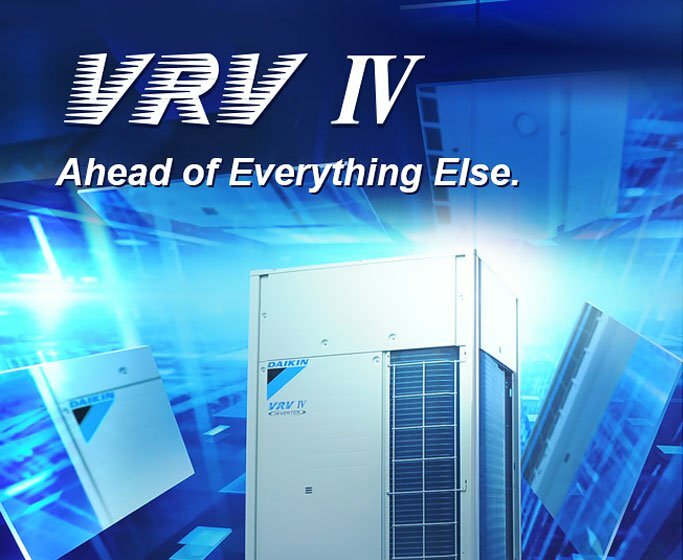 VRV IV-S Experience a sense of VRV IV-S system which fits to small and compact units, to achieve convenience and space-saving like in a house, condominium, etc., with more energy saving efficiency. VRV Fan coil With VRV system, one condenser coil can be connected to more than 20 fan coils or indoor units, so Daikin compiles various fan coils, which support VRV system, for optional applications. Heat Reclaim Ventilation system or HRV system is the system to ventilate air and temperature between indoor and outdoor area, so outdoor air will be cooled down through Heat Exchanger. Furthermore, the air will be filtered dirt out at the same time to extend its useful life. 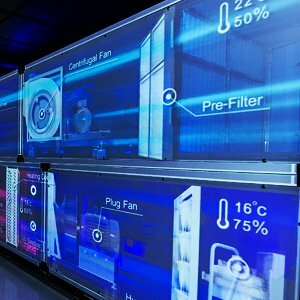 Chiller Plant Management System Simulator or CPMS Simulator displays how chiller works in large system. It presents working situation of each component; chiller, pump, cooling tower, including variant cold water state in the system in each cooling situation. Likewise, the water adapt chiller to cooling situation and waste minimum energy. 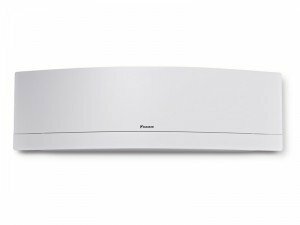 Knowledge a sense of greater pleasure compare to Urusara7 air conditioner which has automatic humidity adjustment operation, cools down without changing the temperature. Moreover, Circulation Airflow blows air up to ceiling level, makes superior and steadier air flow and reduce temperature adjustment time. Compare Daikin air conditioning volume level to other brands in Thailand. You can hear the sound of silence that does not disturb your rest time. Display all models of R32 refrigerant air conditioning with delicate design. An advance technology for health and energy saving which has the best Seasonal Energy Efficiency Ratio (SEER) in Thailand for Urusara7. 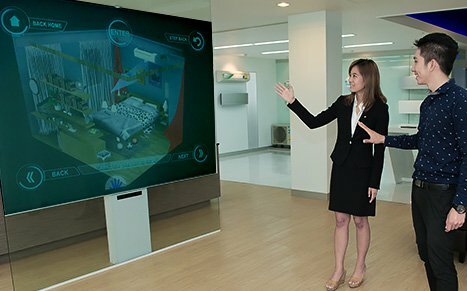 Display the genuine utilities of Super Multi HW system on virtual simulation. Illuminate maximum benefits of air conditioning that does not only cool down temperature, but also recycle wasted thermal energy to heat up water. 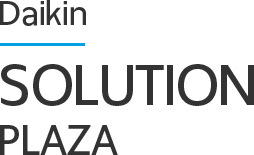 Moreover, this simulation shows efficiency in compact outdoor unit installation. 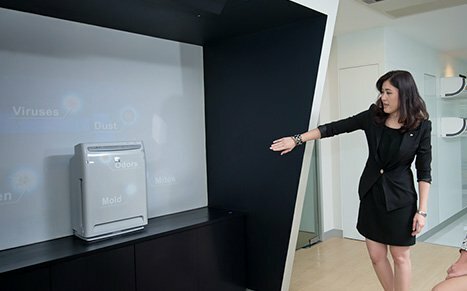 Knowledge a sense of Daikin intelligent air conditioning innovation with Flash Streamer technology, this Daikin’s license product strengthens customer’s health by emitting high-speed electron to catch up bacteria on air filter and inside air conditioner.